The Summer House in Brownheath, near Wem, Shropshire sleeps 2 people. 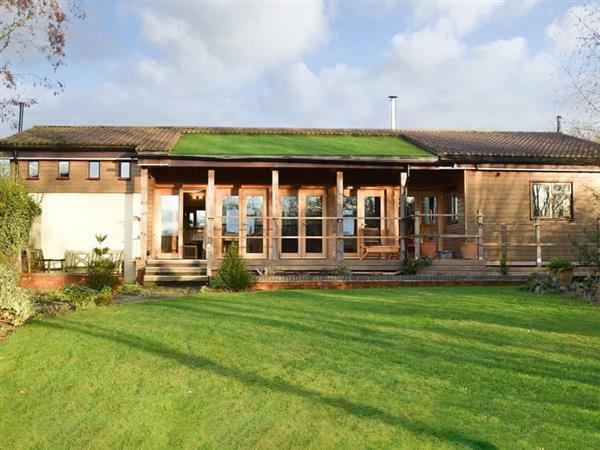 The Summer House near Wem is a delightful lodge which is set within the grounds of the owners home in the hamlet of Brownheath, just 1 mile from the village of Loppington. The Tudor, county town of Shrewsbury is 13½ miles away with its red sandstone castle and the Shropshire Regimental Museum. The border, market town of Oswestry is just 14½ miles away with an array of shops, bars and eateries for guests to choose from. The area has many attractions to visit including, open gardens for the green-fingered visitors with Wollerton Old Hall Garden and Hodnet Hall Gardens set within close proximity of the property. Hawkstone Park and Hawkstone Park Follies is ideal for the more active guests with a hiking tour which takes approximately 2½ hours, where guests can see breathtaking sights such as parts of the park used to represent Narnia in the BBC TV adaptation in 1988. The lodge is detached with the living space set on the ground floor. From the front door you walk into the hallway, which is perfect for leaving muddy boots and coats in after enjoying the Shropshire sights. The large living space has a cosy wood burner and also includes a reading area and a dining area. The kitchen is fully equipped and overlooks the garden to the grounds to the side of the property. The first floor bedroom takes in views of the surrounding farmland and includes its own balcony and en-suite shower room. There is a large veranda where guests can relax after a busy day exploring this stunning county. The shop, pub and restaurant are all 1 mile from The Summer House near Wem. Living/dining room: With wood burner, 42’’ Smart TV, Blu-ray player and French doors leading to veranda. Kitchen: With breakfast area, electric oven, electric hob, microwave, fridge/freezer, dishwasher and washer/dryer. Bedroom: With king-size bed, French doors leading to balcony and en-suite with shower cubicle and toilet. 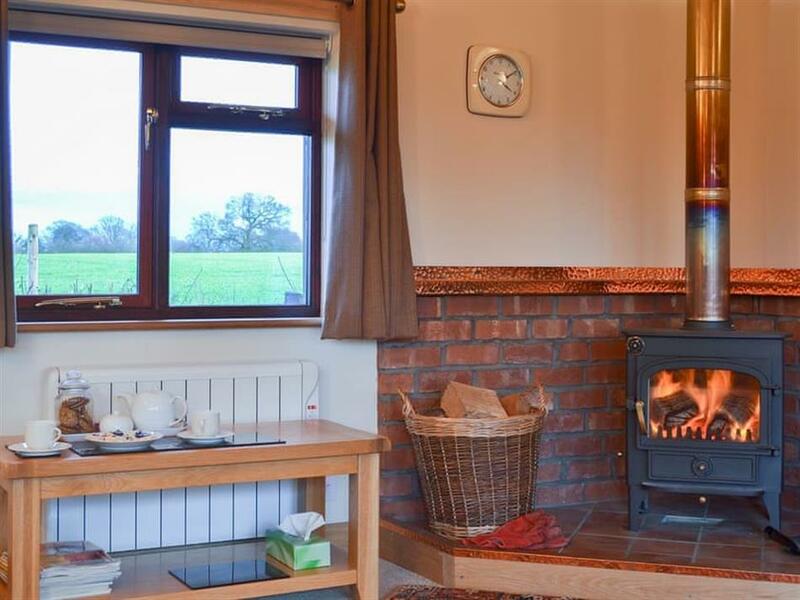 Electric central heating, electricity, bed linen, towels, Wi-Fi and logs for wood burner included. Welcome pack. Veranda with garden furniture. 2-acre grounds (shared with owner). 1 small dog welcome. Private parking for 4 cars. No smoking. Please note: The property has a natural water supply from a well. There are 3 unfenced ponds in the grounds. Holidays at The Summer House run from Monday to Monday. For a better idea of where The Summer House is, you can see The Summer House on the map below. The Summer House is in Shropshire; should you be on the lookout for a special offer, you can find all the special offers in Shropshire. It's always worth checking to see what is on offer at the moment. Do you want to holiday near The Summer House (UK10669), you can see other cottages within 25 miles of The Summer House; have a look to find your perfect holiday location.